and I found that .pdf-files are most problematic. 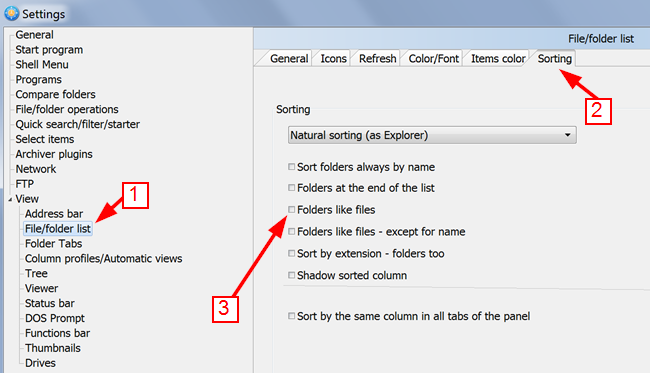 if I select one .pdf erverything ok.
if I select two or more .pdf problems keep showing up. there is a good chance for recovering your lost data because by default FreeCommander makes backups in your settings folder. confirmed - but I somehow managed to find my favorite toolbar again. I can't remember exactly but I guess I fooled around with this setting and it helped. the width of the Quick filter field is not consistent. Please consider making it possible to rename files and folders recursively (to be applied to sub-folders). This would greatly enhance the rename capability, and make it more useful. cannot confirm on Win7x64pro and FCXE 790x64. opened Internal Viewer via F3 on a regular .txt-file and pressed Esc to close quickly and I repeated it for at least ten times --> everything went smoothly, no crash. as far as I know 7zip can do it. you might give total7zip-plugin a try.